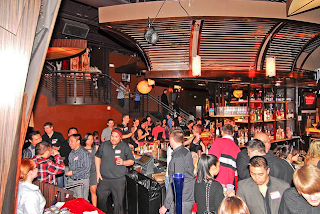 Last February, the Yelp Red Carpet Kickoff Event was held at the Saxe Lounge. Since I'm dating a Yelper, I just had to go with him! We got to sample sliders from Naked City Pizza Shop, wraps from Fresh Grill and Bar, and a variety of bundtlets (single serving of bundt cakes) from Nothing Bundt Cakes. I not only enjoyed the foods, I also enjoyed having the chance to speak with the caterers. These people represented their business exceptionally well! 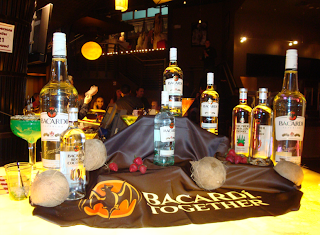 There were also drinks provided by Bacardi!